gt_icon TYPE TABLE OF ICON. 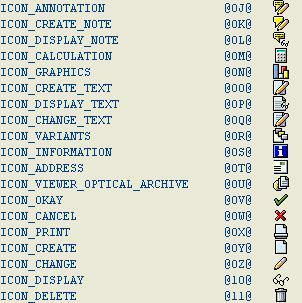 SELECT * FROM icon INTO TABLE gt_icon. LOOP AT gt_icon INTO gs_icon.